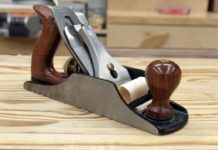 More often than not dust is hard to control in a wood shop. I just got a new table saw and while it does come with a 4” dust collection port it’s not incredibly optimized for dust collection. The steps I refer to below may not be 100% applicable to your saw but the general idea is the same. I do have some extra ideas at the bottom for other types of saws. Hopefully this may be of some help to someone. 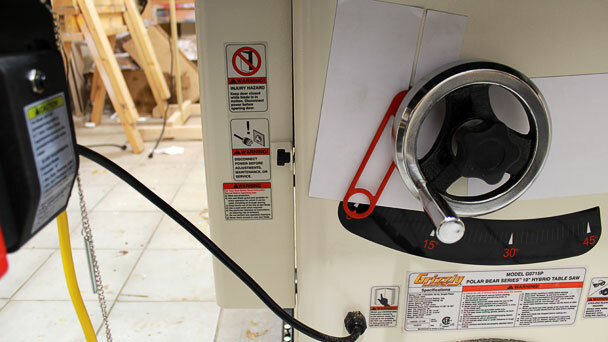 In order for table saw dust collection to be effective with a dust collector you need to direct the air movement, not block it off. 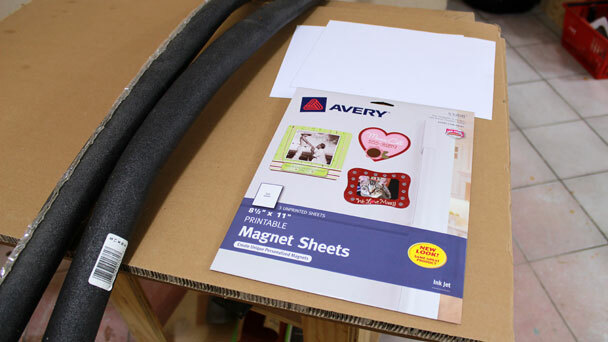 To do so I purchased some magnetic printer sheets and closed cell (I think) foam pipe insulation. Way too much pipe insulation actually. After going to several places in town the only place I could find the magnetic printer sheets were at Walmart in the office supply area next to the resume paper. I hate giving my money to Walmart but that’s a topic for another day. Less than $10 total was spent. 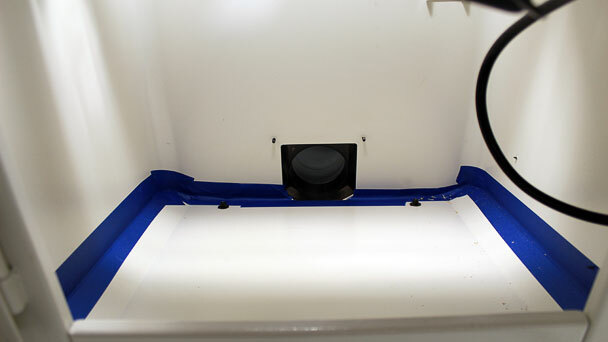 The objective is to have all of the air being sucked in through the insert plate and through the louvered door next to the motor. 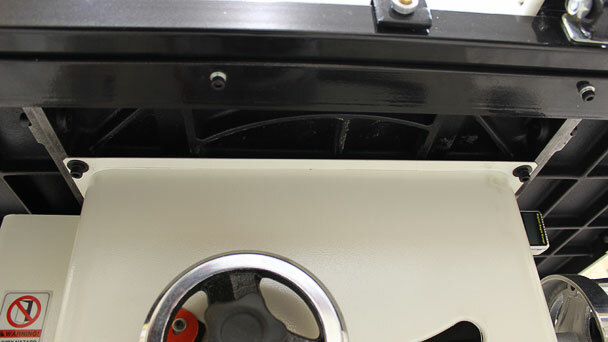 Having great air flow down through the insert plate will obviously promote dust to follow gravity into the cabinet and having air flow from the motor door across the cabinet to the dust collection port will create a directional draft for dust to go toward the dust collection port. To start I hooked up the dust collector and turned it on so I could feel around the gaps in the saw to see where the air felt like it was being pulled in the most. I could barely feel any air moving through the insert plate. 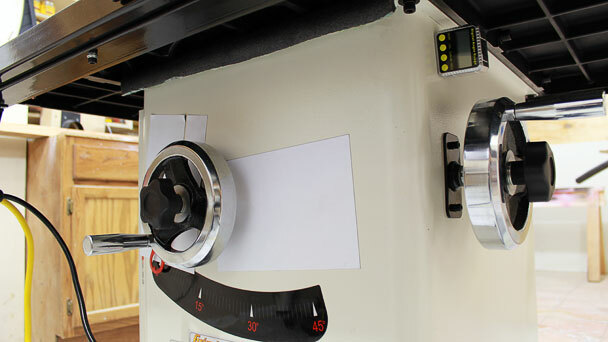 The strongest drafts were felt at the front and back of the saw where the cabinet met the table and at the angled slot in the front of the cabinet where the lift handle comes through. First to tackle where the top meets the cabinet in the front of the saw. To plug this I cut a piece of the pipe insulation and rolled it into the cabinet. I could feel when it started to compress and slide between the top and cabinet. I pushed it as much as I could to roll it into the cabinet so that it was roughly half in and half out. This immediately helped a bit at the insert plate. I could now feel a very slight draft. So I went to the back side to do the same. 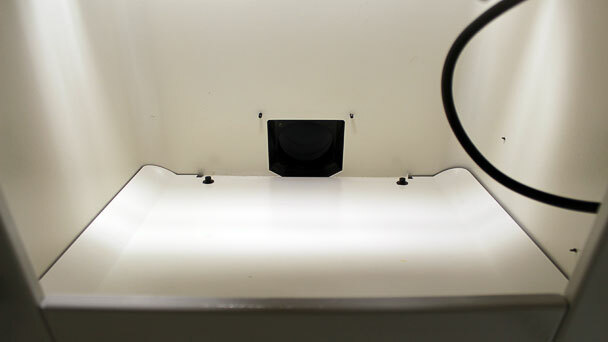 The back has an access box that sticks out slightly and to each side there was a large opening directly into the cabinet with very little cast iron webbing in the way. I had to over expose these shots so you could actually see the cast iron. I tried to block this area with the pipe insulation as well but didn’t have much luck. Using it in a single layer felt like it wasn’t sealing anything off and I couldn’t get any in at all when it was folded over. Blue tape to the rescue. I know that blue tape will probably fall off in a week or two but using it temporary will at lest let me know how effective blocking this area off will be. Both the left and right side of the cabinet meet the table top with a constant connection all the way across so no modification is needed there. 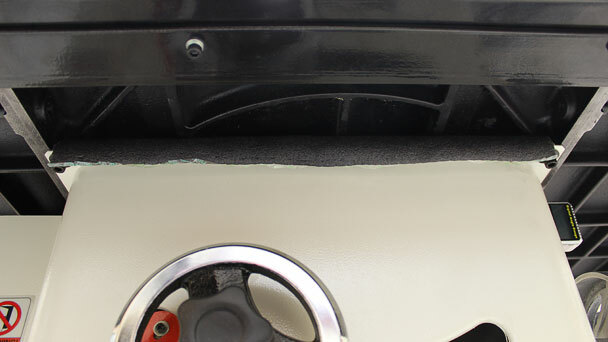 The next area is the slot where the lift handle comes out of the front of the cabinet. I picked up this technique from watching Ronald Walters on YouTube (video below). To block the slots easily with no modification to the table saw I used the magnet sheets. Mine came in regular 8-1/2” x 11” paper size so one sheet cut in half was enough for this. Half to block the larger side on the right. And one half with a slot cut in it to block the smaller side to the left. At this point I was getting great air flow through the insert plate. So I focused on tidying up the inside. Here’s a shot through the motor door on the side and down to the dust collection port. The sloped tray looks to be at about a 10 degree angle but it doesn’t sit flush with the cabinet which allows air to be pulled in through the bottom of the cabinet. I already sealed this off once when I first put the saw together but I didn’t clean the metal first and some of the tape was pealing off where the cabinet felt slightly oily. So I ripped it off, degreased the metal, and taped the seams off again. The tape seems to be holding a lot better this time. Again I’m just using blue painters tape because It’s what I had available. It will let me know how things are working and if it fails I can replace it. So after these easy modifications I can tell a significant difference with how much air flow is at the insert plate. Remember that the goal of dust collection is not to restrict all of the air but to direct it. 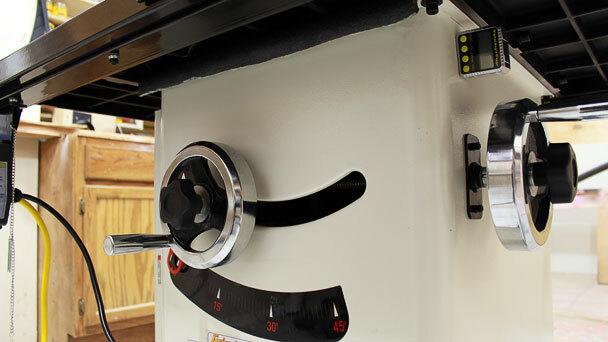 Here’s a shot looking at the seal where the motor door meats the cabinet. As you can see there is a visible gap that runs the entire perimeter of the door. There are also 3 slots in the face of the door for air flow. This will allow enough air into the left side of the cabinet to not only help cool the motor but also create a left to right draft that will direct airborne dust to the dust collection port. While I didn’t do any measuring of dust before and after I can definitely tell that more dust is being directed down into the cabinet just by making these simple non destructive modifications. Especially on cuts where you’re just shaving a slight amount off of one side of a piece. It’s still not perfect as I have no over the blade dust collection, and never plan on having any for that matter, but it is much improved. 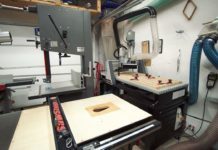 Below are some other table saw dust collection ideas that I thought I would include as well. 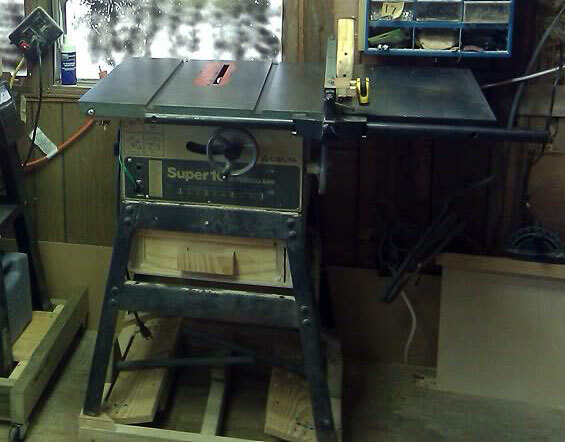 This was my first table saw with a cast iron top. I had two different variations of dust collection for this saw. Before I added the mobile base that you see it sitting on I had a deeper square box with no bottom that extended to about 10” off the floor with a collection bin that just slid under. This was the best dust collection I had on that saw. When I added the mobile base that obviously had to go so I made a shallow drawer to fit in the stand opening. This was better than no dust collection at all but not as good as what I had before. I believe the larger area works better due to the fact that the blade naturally throws the dust down. With a smaller area you have a greater chance of the dust kicking back up. Ronald has a larger Grizzly cabinet saw than I do but this is the video that gave me the ideas to better my dust collection. Do you think expanding foam like you would use in large gaps around windows would work. I know it might be messy but if you are carfull it would be easy to plug up the holes under the table top. Expanding foam would work but I highly do not recommend it. That stuff is made to be incredibly sticky and you could potentially glue your top to the cabinet preventing you from taking if off for maintenance down the road should you need to. Place plastic bags of the proper shape and spray the foam inthem so it will not stick to the table, will be removable, and reinstallable. Funny you should write this. Just last night I was working on a project on my new Ridgid R4512 (I know you had issues with yours – but mine seems to be fine – so far) and, although I like the attempt at dust collection, there seemed to be a little more sawdust on the floor than I was comfortable with – so, as you say “blue tape to the rescue”. My main issue seems to be where the cabinet meets the legs (remember the R4512 is a hybrid saw). The dust collection tray (which is – let’s say funnel shaped – which is nice” is sandwiched between the cabinet and the legs. However, there seemed to be a fine dust accumulation in that area after a few cuts – so I blue taped it and it seemed to do better. Previously, after a few cuts I still had quite a bit of dust on the floor, after the tape job I still had to vac the floor – but not nearly as much. 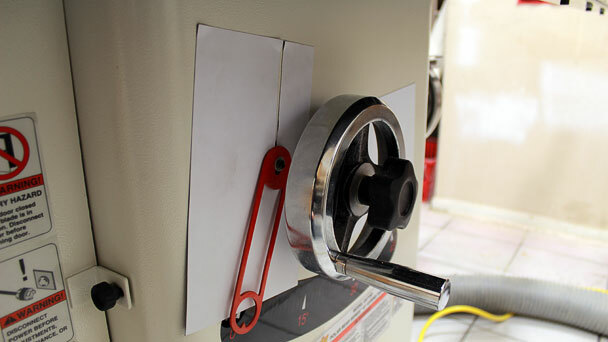 Your pipe insulation and magnetic sheets are an awesome idea. I was wondering how I would address these gaping holes that cannot be permanently sealed. If the blue tape works, I was thinking about taking the legs off and silicon-ing the dust tray to the cabinet – hopefully to seal it better. As far as the expanding foam stuff goes like Bill posted – that stuff could work, but boy does it get messy…. I wouldn’t use silicone. You never know what will happen down the road and gluing the funnel In place will prevent access to the motor for any maintenance that might be needed later. Instead of silicone use a long strip of tape that is rolled into a small tube so that the sticky side is out. This will act as a bead of silicone but much less permanent and more easily removed later. Great idea. And I already have that stuff. I was also considering carpet tape – that stuff is a little foamy – but thought that over time that might be difficult to get off. Thanks for the advise – that is exactly what I’ll do. Here is a varient on block the opening of your blade tilt. 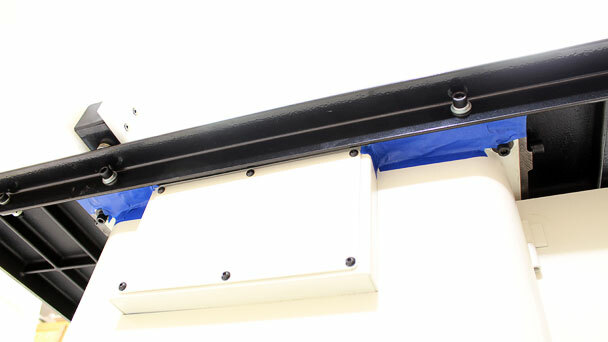 You could cut a piece of the foam tubing (or other sturdy but flexable material) length wise and the attach a section above and below the axle. 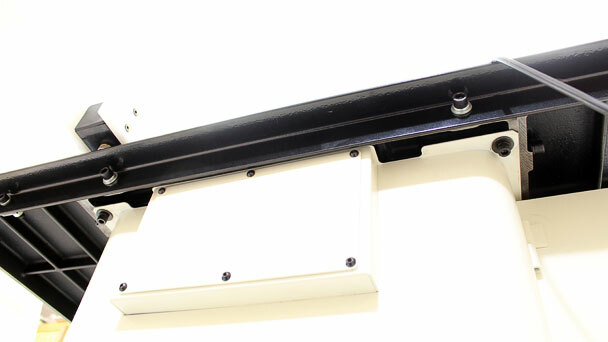 Done correctly, this would give you a continuous seal while allowing for unhindered opperation (i.e. no need to move the magnets). It would also work for those without a sheet steal cabinet. That’s a good Idea. Right now I just move the larger magnet as needed. The blade tilt moves the magnet with the slot cut in it by itself. No need to move it. I am in the market in the next year for a dust collector maybe even a cyclone and was wondering what you was currently using and how well it works.. I have a small 1 HP single stage and it doesn’t do very good.. 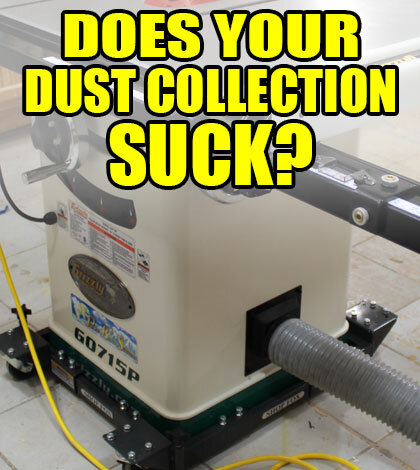 There is so many articles on dust collection but I like to hear actual people’s comments on the product. I see that you posted a video of what Ghostses calls a dust collection hopper for Contractor’s saws. I would really appreciate it if you would remove it. 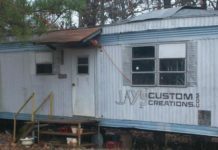 The guy is accepting credit from others for what I designed. In my opinion he is a fraud.